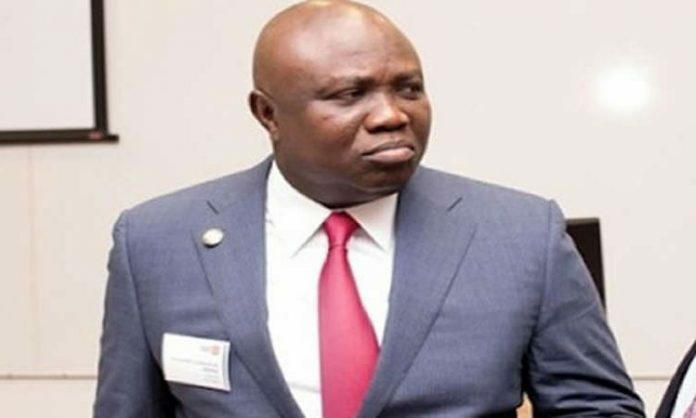 The Commissioner of energy and mineral resources in Lagos State Governor, Akinwunmi Ambode’s cabinet, Wale Oluwo has resigned. Oluwo who formed a member of the Ambode’s kitchen cabinet and stood firmly behind the governor during the controversial All Progressive Congress(APC) Lagos primaries, plans to defect to the Peoples Democratic Party (PDP). 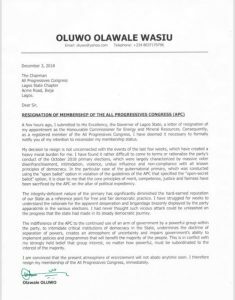 In a copy of resignation letter sighted by CK10 Media, the former Commissioner blamed the controversial gubernatorial primary of the ruling APC in the State as his reason of leaving the party.